Whether a child has had a hours of joyful play or a stressful day at school, the Cocoony offers a space for relaxation. Created by Austrian designer Margot Stummer, the large geometric hideaway functions as either a flat mat or vibrant cocoon. 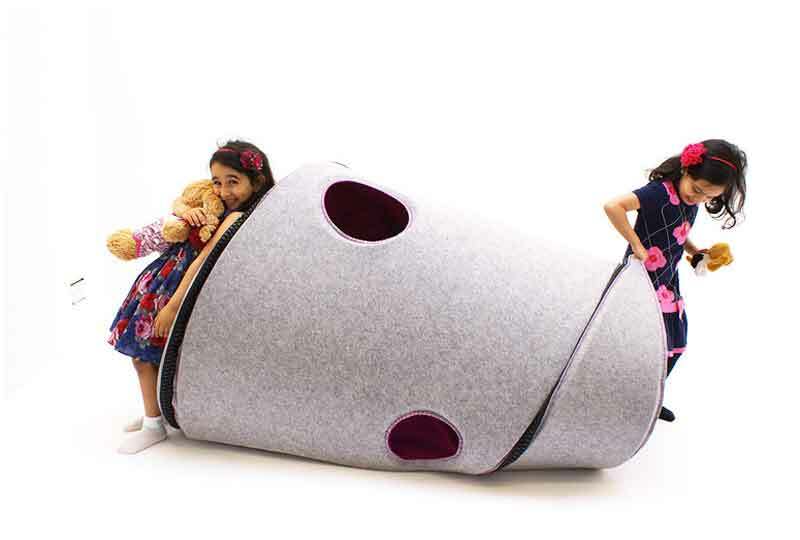 Stummer developed the Cocoony as both an object for play and decompression. After witnessing children during tantrums, she sought to fabricate a soft, welcoming cocoon based on natural forms. 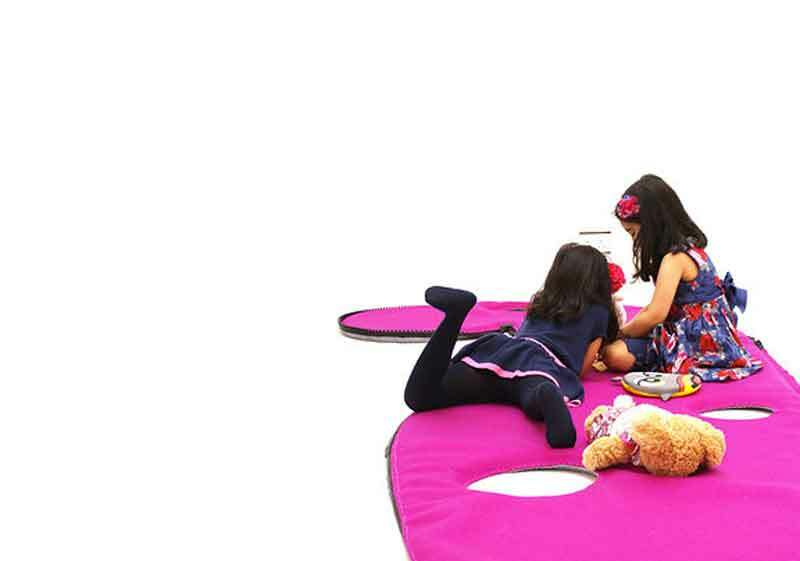 When not a three-dimensional pod, the Coocony can be unzipped into a carpet and stored out of the way. With a cool grey exterior, the soft fort resembles a boulder. Once inside, a warm pink interior wraps the child in a calming embrace. 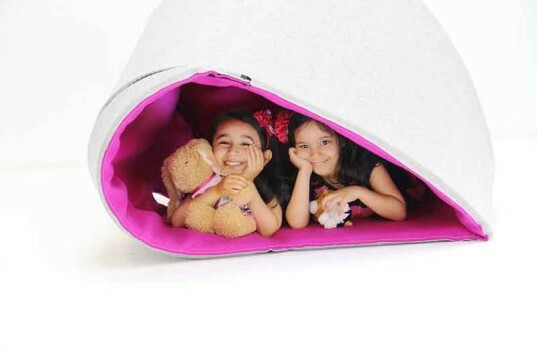 A great way for kids to recharge on their own terms, the Cocoony could only add to its appeal by being made from renewable or recyclable materials. Many felts and fleeces take advantage of discarded clothing, plastic waste, and organic feedstock. Ensuring the toy cares for the earth as much as a child’s emotional health would only broaden its appeal!